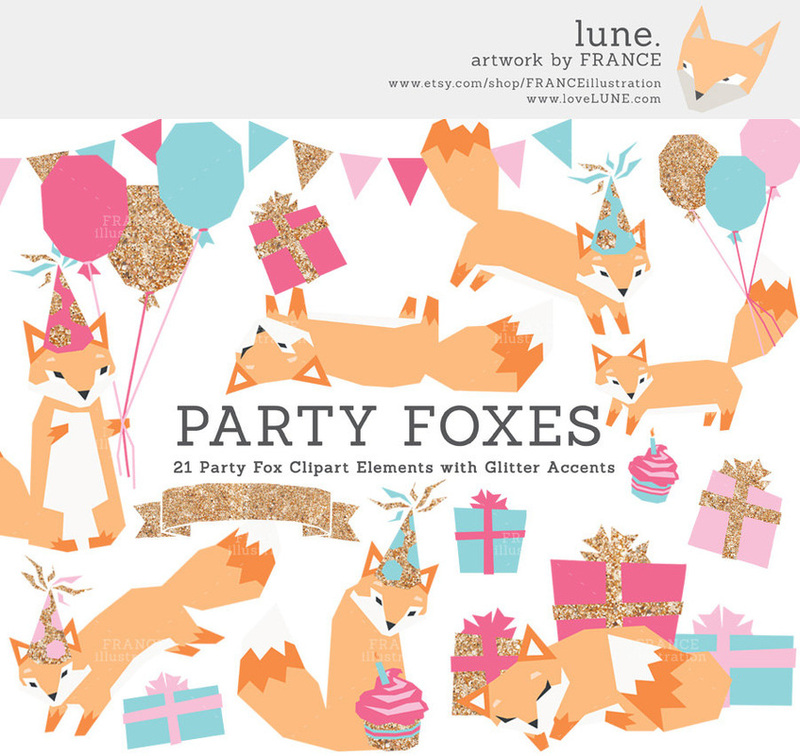 This Fox Party set was a lot of fun to create. We were experimenting with gold glitter accents against solid flat colours of aqua and pink. We think the effect is quite striking, and would make for some perfect kids party invitations. These could be taken a step further - once printed real glitter could be glued to the textured areas. "Super cute. Easy. Very sweet." - Jessica Swanson, 20 July, 2014. "Foxes of my dreams. Dancing. " - Chris Bond, 10 July, 2014. "I'm smiling. 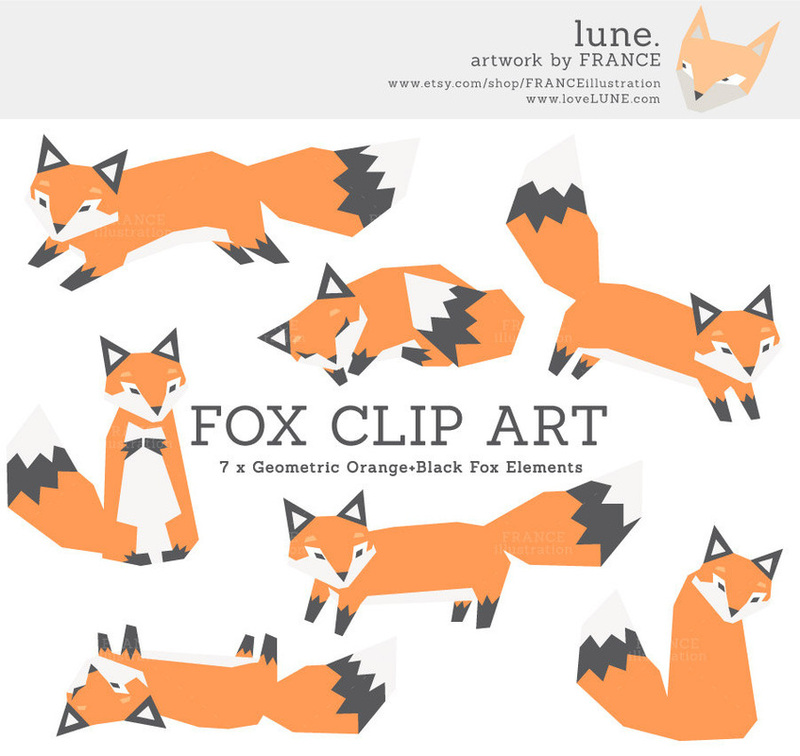 Love little foxes." - Chris Bond, 10 July, 2014. "Can't resist fox clip art! These images are almost too cute!" - Hayley, 15 April, 2014. "These are absolutely adorable. Very useful for all kinds of projects." - Jennifer Williams, 6 March, 2014. "Thanks, great item and easy to use." - Megan Cook, 10 January, 2014.